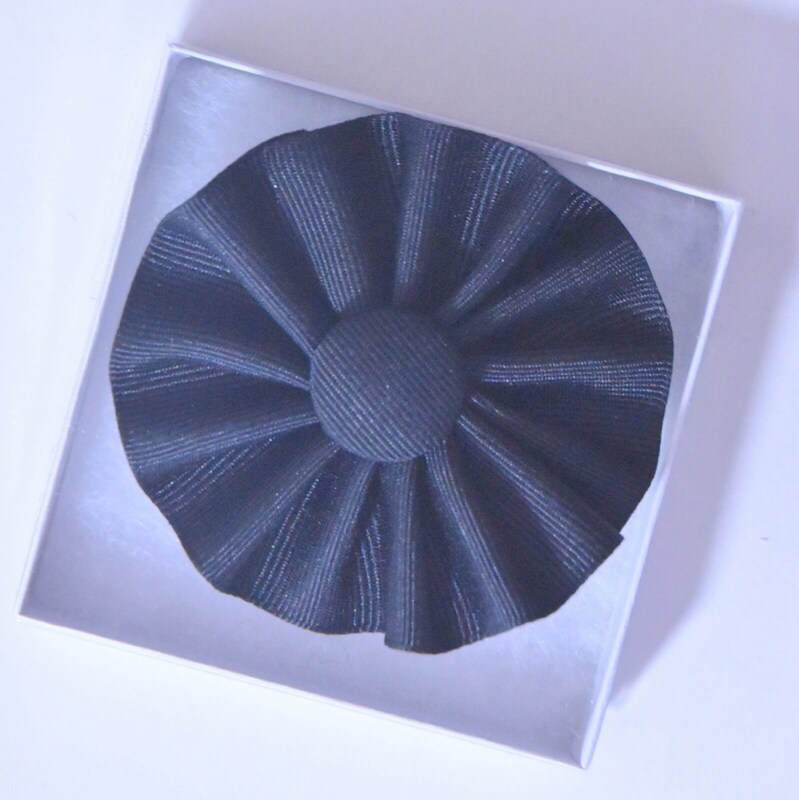 Black ribbon cockade with button center. Measures about 3 inches across. This is made from grosgrain ribbon. Hand sewn so there may be slight variation from piece to piece. Felt backing for extra stability. 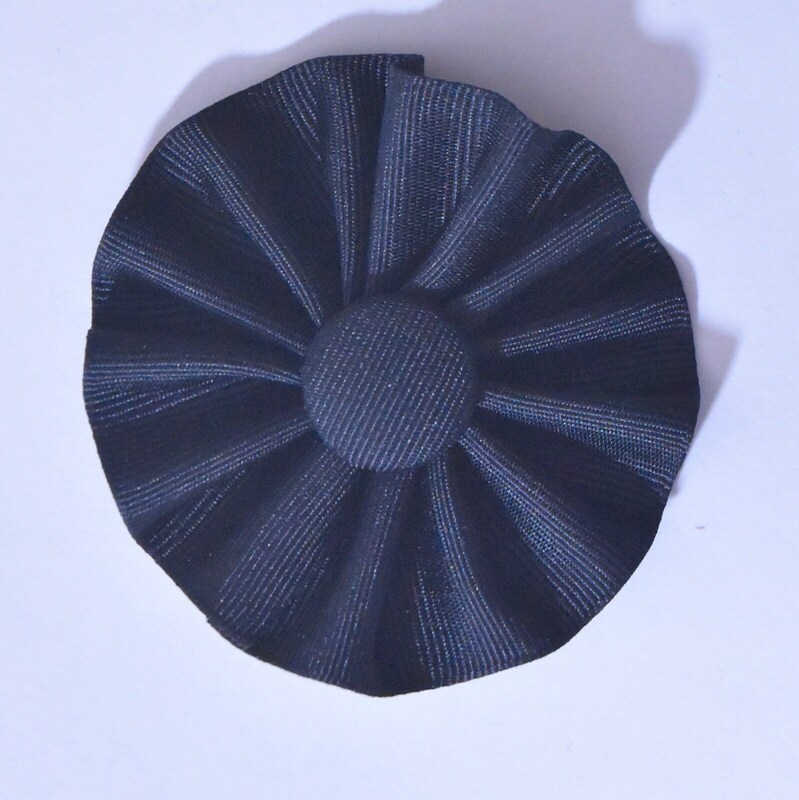 There is a brooch pin on the back for attachment to lapel or soft hats. Ships in a brooch box. The black cockade was used as an emblem of allegiance during the revolutionary war and in many other cultures throughout history.